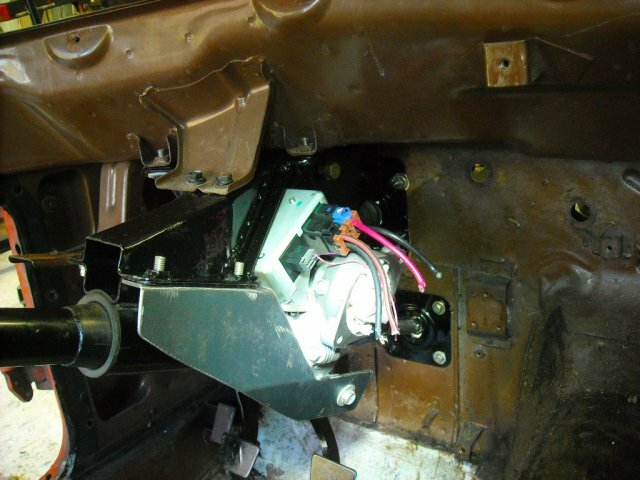 I have almost completed the Saturn Vue electric assist steering in my 240Z, just waiting on the wiring kit from ebay Bruno, I had to cut and modify the steering shaft/pedal box to fit it in and then reinforce the box to stiffen it back up, the pics will explain it better then me. The unit weighs 14lbs and then add a couple more for bracing and a u joint, so far I have $144.00 in to it, looking forward to trying it out in parking maneuvers. Holy crap, very very smart idea fitting it inside that box. I wish you could show some photos of how you cut and reinforced the steering box. Also, what adapters for input/output and all that did you use? I'm about to start mine really soon. The 1st pic is what was cut out of the steering/pedal box, 2nd is the bracing around the hole that I added, while the paint was off I also added some key welds where previously there was only spot welds. 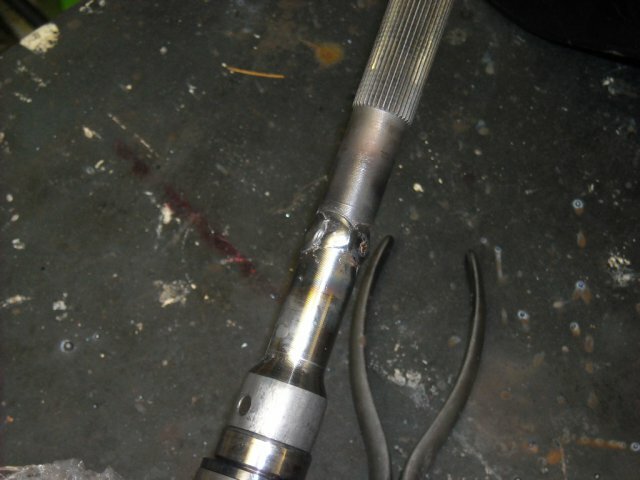 There is a middle shaft on the 240's, I used the splined section of that to weld onto the Saturn input shaft, the Saturn output shaft is coupled with a simple sleeve and 4 grade 8 bolts to the cut off end of the stock middle steering shaft. 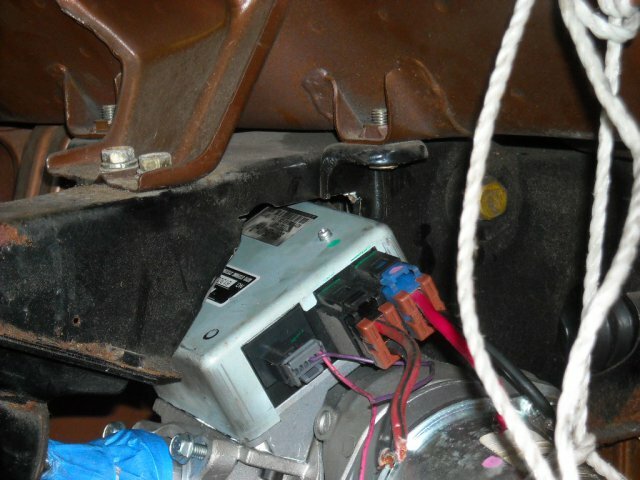 Once you get down to your steering/pedal box come back and have a look at the pics in post #27 again, it will make a lot more sense. Thanks for those pictures! You will have to tell us your first impressions when you get it running! I took my Saturn and Datsun columns apart last night. On a 78 it looks like the motor will barely fit clocked at the 10-11 o'clock position. 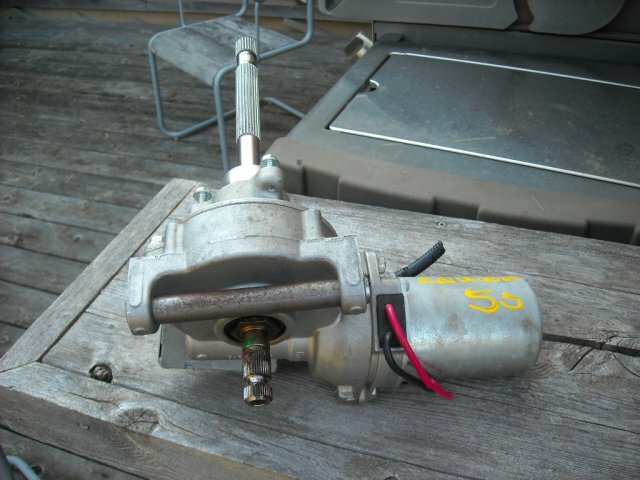 Does anyone know if removing the steering coupler like the ez power steering kit does will cause any issues? 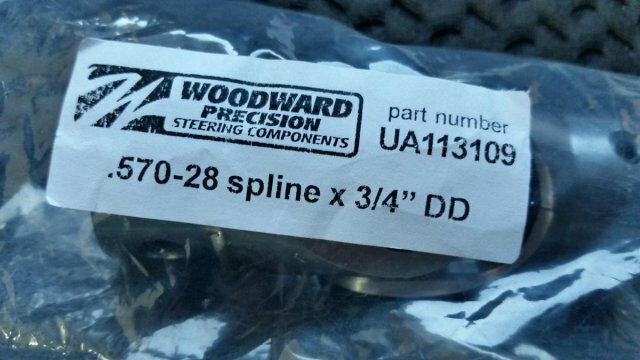 Woodward sells the Datsun u joints and splined connectors, so you could use a DD collapsible shaft on the saturn end and put a DD-Datsun spline shaft to connect to the steeering rod under the hood. 113 is the Dastun Spline part number in the woodward catalog. This is the plan I came up with. 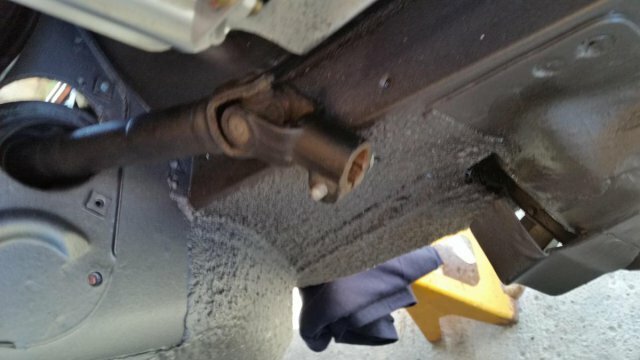 I really want to keep the collspsibility, and don't want to take out the dash to weld bracing into the column support. 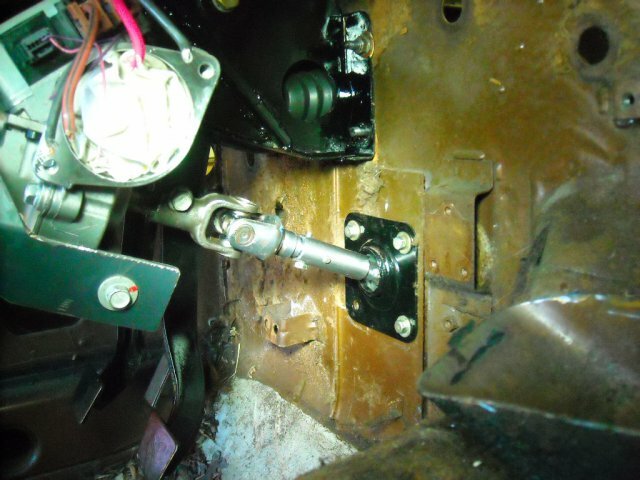 I will attach the upper section of the Datsun column to the top of the motor with the 3 bolts it comes with.I will make a 1/16 or 1/8 plate to the pattern on the existing upper Saturn tube and put a collar on it the Datsun tube can slide into and weld to. 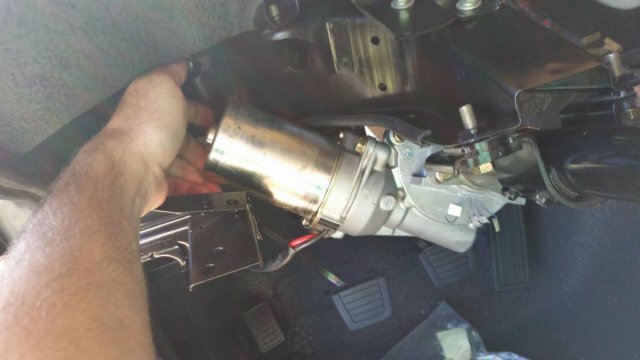 Use the Saturn spline piece to make a connector to go from Saturn to Datsun. 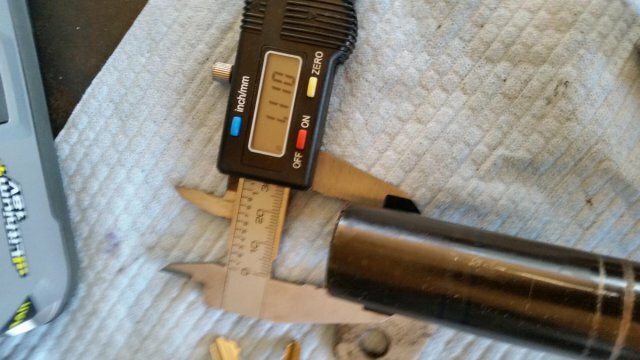 Make a plate to bolt to the 2 bolts on the lower side of the motor and weld a square tube to it that a 17mm couple for the Saturn spline can fit into. Slide another square tube either into it or over it and weld that to the firewall plate. Between the column support and firewall plate, that should keep it from twisting. 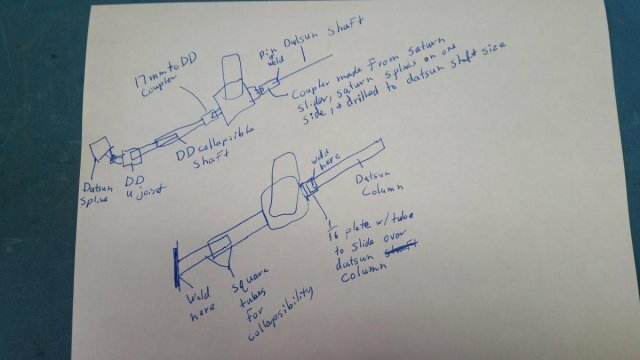 Use a DD collapsible shaft from the 17mm Saturn spline down to a u joint that's DD on one side and Datsun steering rod spline on the other. Does anyone know where I can buy square tube and they will test to see if they fit snugly inside of each other? We had 2 78 280, one complete and 1 with bare interior. We did a few mockups, looks like motor may be able to go towards right with a small notch in column support and without factory AC. I have vintage air and my ac blower is in the way. To the left and up it will just fit with just about zero wiggle room. Either way looks very tight but doable. Socorob, this is a great idea to retain the collapsible feature as well as the info and feedback especially the mention of the vintage air as I plan on going that route as well. After getting it in and mocked up, the plan is to use the lower shaft from the Vue which is collapsible. Will do like Z power steering and just put a bearing at the firewall for support. Just needs a DD male fitting to Female Datsun spline to replace the round steering coupler. 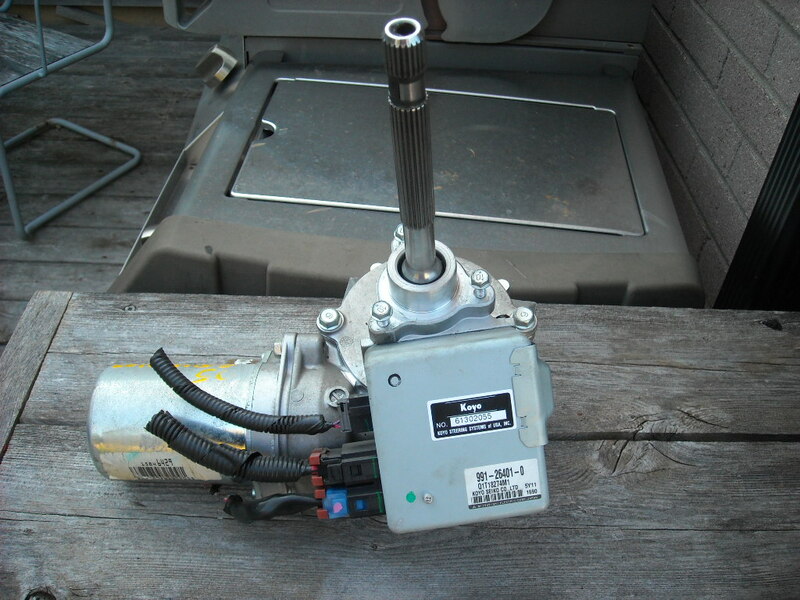 The motor will be supporter by the upper column, plus a small L bracket from one of the mounting holes of the steering unit to the column support. Should only have to drill 1 bolt hole in the column. Looks like a well thought out plan. I plan to do the same and will be following this closely. Luckily I have access to a machine shop where I can have the 3-bolt plate/tube nicely made. I'm grabbing the entire shaft assembly from an equinox shortly. 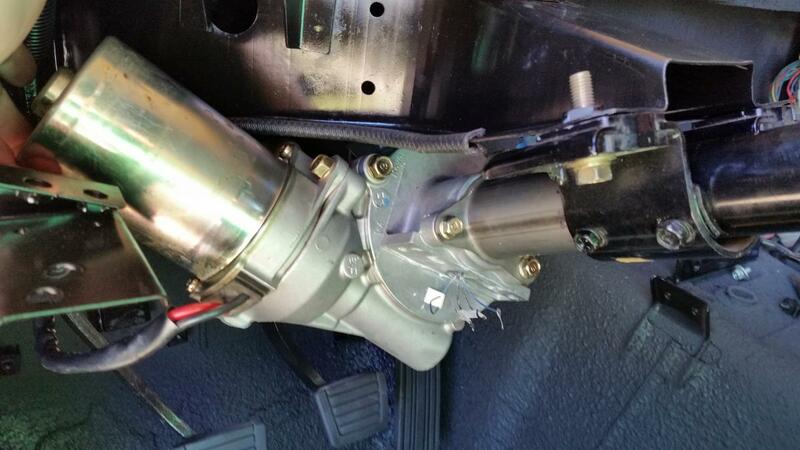 Will even see what the equinox tube looks like to be adapted to the Datsun one if I can get it out of the equinox. Could always bring a sawzall . 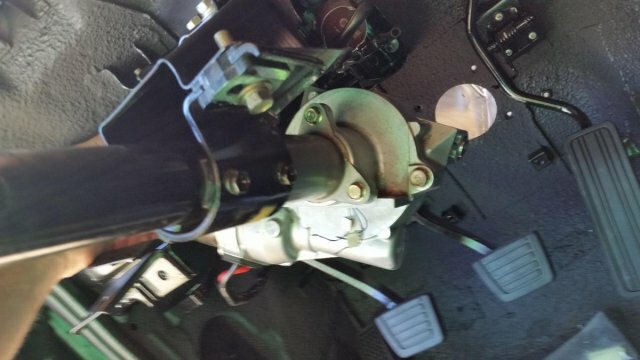 You have to take the bolt entirely out of the DD fitting where it connects to the saturn steering and it slides right off. That looks like the vue column. Socorob, regarding wiring, is it best to go directly to battery with a switch or relay? 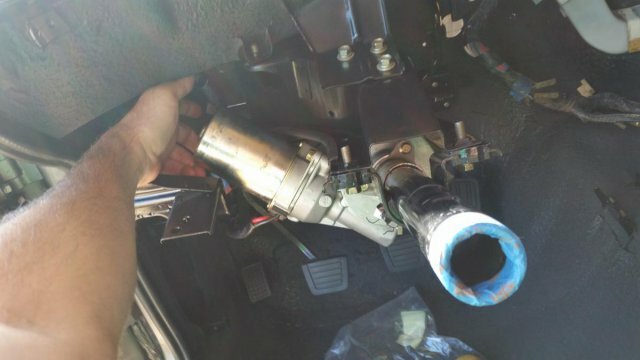 Or is it okay to do through the ignition column? I heard the old wiring won't be strong enough. This is where I got a lot of info from. One guy was talking about running the power feed through a relay in case something ever were to malfunction, he could switch it off. The Woodward u joint fits the datsun rack, and has a DD on the other side of the joint. That means you can use the lower Saturn shaft as is. You will just have to separate it to pass through a bearing with a 1 1/8 ID at the firewall. A 3/4 DD steering g rod fits in both the Woodward u joint and Saturn u joint. We need to try to find a bearing with set screws to attach to a pipe welded to a plate on the firewall for the sa turn steering shaft to pass through. Anyone know where I can get a bearing that's 2 1/8 OD, 1 1/8 ID WITH set screws to be able to hold it in place? The Woodward u joint fits the datsun rack, and has a DD on the other side of the joint. That means you can use the lower Saturn shaft as it. You will just have to separate it to pass through a bearing with a 1 1/8 ID at the firewall. 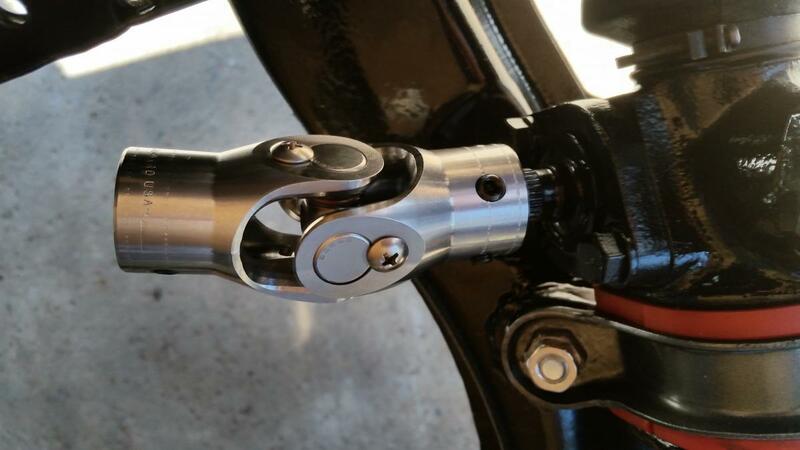 A 3/4 DD steering g rod fits in both the Woodward u joint and Saturn u joint. 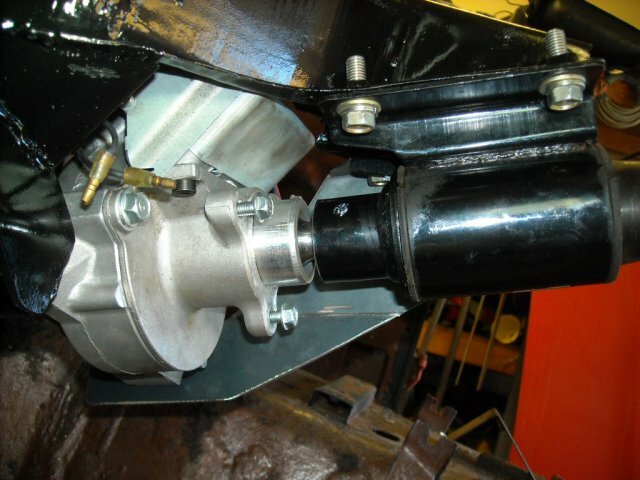 We need to try to find a bearing with set screws to attach to a pipe welded to a plate on the firewall for the sa turn steering shaft to pass through. Anyone know where I can get a bearing that's 2 1/8 OD, 1 1/8 ID WITH set screws to be able to hold it in place? That one doesn't pivot. I just got the bruno controllers in the mail on Saturday. I have been too busy to work on this lately, but hopefully will be able to make some progress in the next week or so. There's a bearing in the bottom of the Z column that the Saturn shaft almost fits through. I may attempt to bore it out, probably needs to open up 1/16. Then I could use the stock bottom plate, as long as it lets it slide enough to collapse still. Bumping this thread - great information here! I've only skimmed, but could OP assemble a parts list of everything needed (thus far) to complete this retrofit? Can't wait to jump into mine! 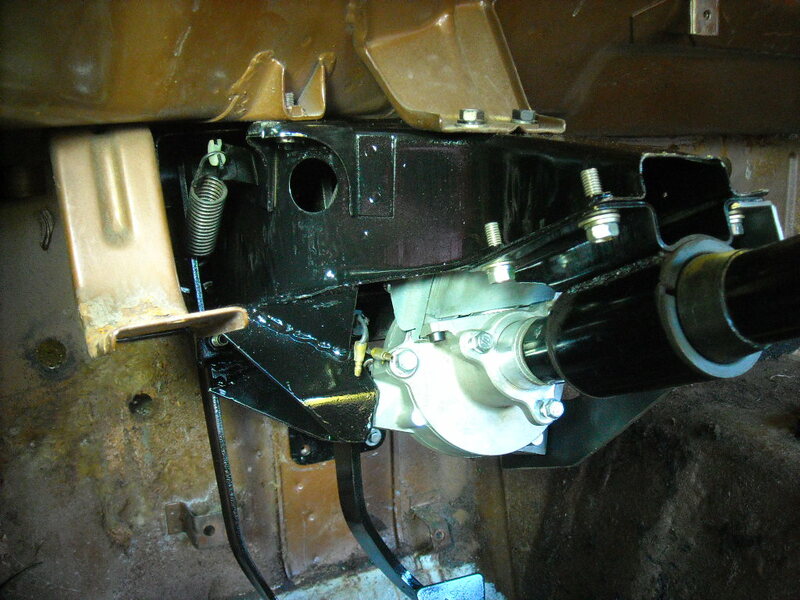 I installed the Z Power Steering kit in my '72 240Z last year. Had some space limitations, but managed to overcome them with enough patience, trial-and-error, custom made brackets, etc. Steering effort below 40 MPH is excellent - very easy to maneuver for parking, etc. My issue concerns higher-speed handling and "feel". No matter what level of "boost" is dialed into the system, my car feels very "light" in the front end, and lots of minute back and forth corrections are needed to keep the car on track. It almost feels as though there is some looseness, or rotational "play" in the steering column now, making precise corrections very difficult. 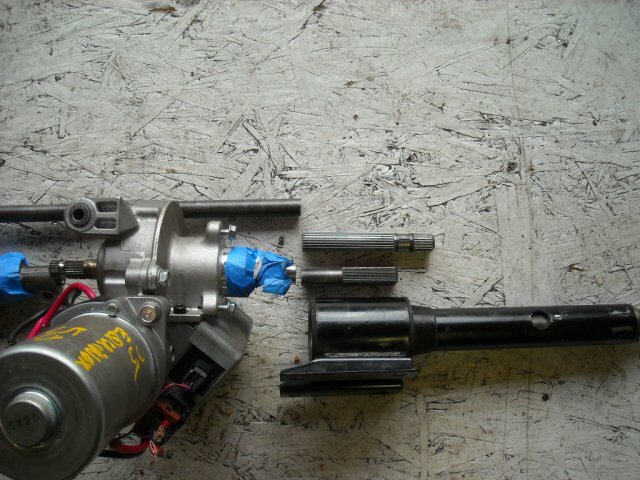 There is one "sleeve connection" between a solid and hollow D-shaft that is not secured by any set screws, and I notice some rotational "play" originates there. When steered into a turn, the wheel just maintains the turned position, with no self-centering effect coming out of the turn. 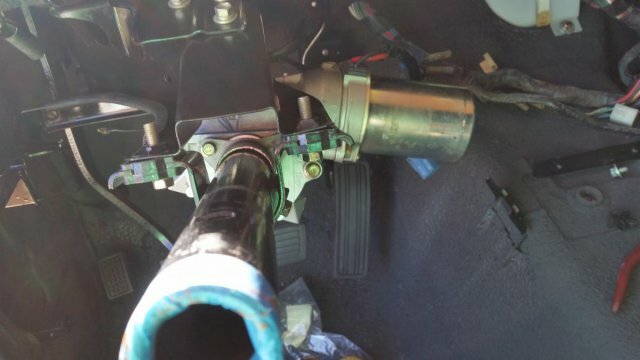 While the kit reduces steering effort dramatically, it also seems to impart some friction, or vague resistance, to the steering effort, that is difficult to describe. I'm trying to figure out if this is due to my personal installation, or if it is simply an inherent characteristic of the electric motor of the kit itself. 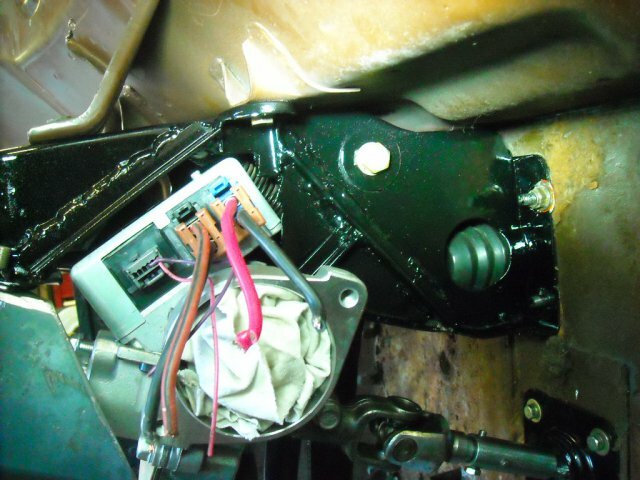 Noteworthy is the fact that the motor unit itself wants to turn strongly in the opposite direction to the steering wheel, making it important to somehow firmly bracket the motor housing under the dash. The kit manufacturers have tried to help resolve these issues, but we are not there yet. For me, the "jury is still out" on this system, as I feel I may have traded some steering feel and precision for the reduced effort I wanted. Still hoping to find a solution, because the lowered steering effort at slow speed literally transforms the car. I'd really like to hear from others who have installed this particular system on their early Z's. I bit the bullet and bought the Equinox unit. In process of shoe horning the unit in my 73" 240z. Has anyone tried the automatic unit? And what are your thoughts about it. I need to order one or the other soon. seattlejester seems to be describing some of the effect I noticed with the power steering unit I tried. It's as if there is a momentary pause after steering input, followed by the "boost" to lighten the overall steering effort. It's just a tiny fraction of a second, but it is perceptible (and somewhat annoying) primarily when trying to make minute corrections to the car's steering, as when going down the highway. It is far less noticeable when making forceful, definitive turns right and left, e.g. when making a 90-degree turn at an intersection, or when carving through some switchbacks on a secondary road (a good thing!). The motor unit seems to impart some type of "drag" on the steering, at the same time it lessens the effort to turn the wheel. Sound confusing? It is. But, I also felt there was some inherent rotational looseness in the replacement steering column, too, as I mentioned in my earlier post. If the manufacturer (or customer) could successfully eliminate all signs of that looseness, that might eliminate some of the on-center "play" that I was finding frustrating. Ultimately, I wound up removing the system from my 240Z, and returning to stock. I now prefer the "feel" of the steering at anything over 30 MPH, but I really miss the ease of steering at low speeds that the power steering kit provided. The folks at ZPowersteering were absolutely fabulous to deal with, all the way through, and I wish them well. I hope they are able to tweak their system somehow to compensate for the deficiencies I found in my particular installation. Overall, I gather the vast majority of their customers are very happy with their systems, so it may have just been something related to my car, its suspension, alignment, tire/wheel selection, etc., and nothing at all to do with their components. You are right, I imagine that would come in on freeway driving in a straight line, minute corrections could mean you are hunting for a straight line, I was thinking more long sweeping turns and such. That is one of the downfalls of the E-steering setup. It usually needs to sense a force to begin applying the force which can come across as play or delay. The beauty of the bruno setup is that you can turn it off for most of the time other than when you are at low speeds where the assist would be appreciated. The other downfall while we are at it would be a general numbness that can be attributed from too much assist, which also could be toned down with a knob versus a feedback. 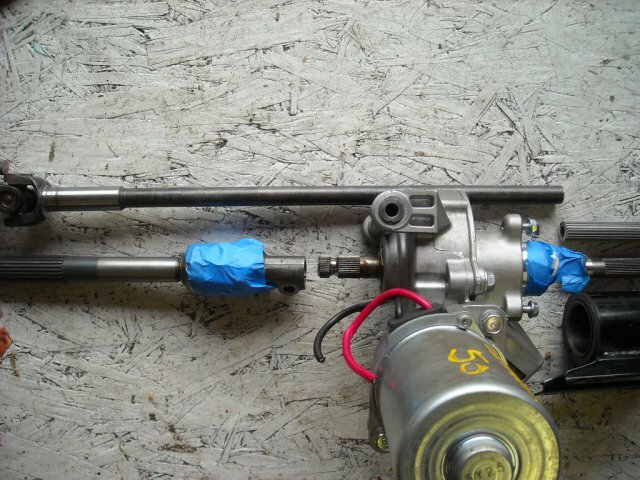 I was really really really into having power steering, even built my own setup following another member's build. I have about half an hour more work to install it, but I really can't seem to be bothered. I went auto crossing which should have been a workout in theory, but it never even occurred to me that I was missing out on the assist. I can definitely feel for people running more than my measly 225 width tires, or if they have tight parking spots to navigate, but short of perpendicular spots, parallel parking, or meaty tires I haven't found a necessity to finish. Edit: also people with shoulder or joint issues, I'm sure could benefit as well.